The daughter of the Colorado woman who has been missing since Thanksgiving will remain in the custody of her maternal grandparents, at least until a further hearing. The daughter of the Colorado woman who has been missing since Thanksgiving will remain in the custody of her maternal grandparents and child protective services after a second hearing on Thursday. 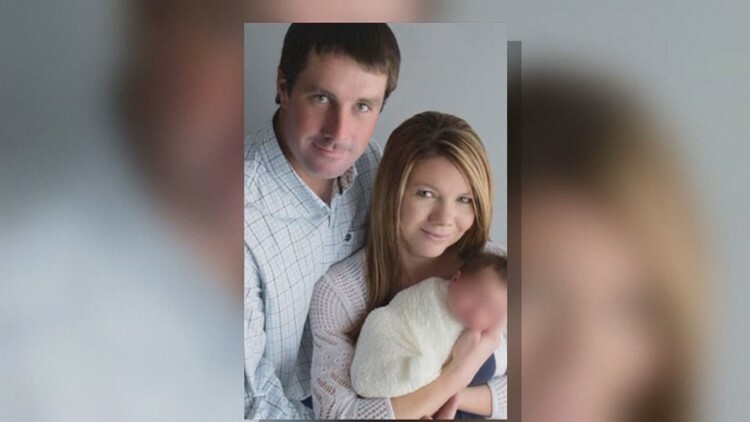 Patrick Frazee, the child’s father and the fiancé of Kelsey Berreth, appeared in Teller County court for a custody hearing about the 1-year-old. Frazee is being held at the Teller County jail where he is facing five charges in connection to Berreth’s disappearance, including first-degree murder and three counts of solicitation to commit first-degree murder. Also at Thursday's hearing were the attorneys for Berreth's parents (Berreth's parents appeared by phone) and Frazee's mom and sister with their attorney. Thursday's hearing - the second one on the topic - comes after the court granted a temporary emergency custody order that placed the 1-year-old child of Frazee and Berreth in temporary physical custody of Berreth’s parents and the legal custody of Teller County Department of Human Services, Colorado Courts said. The Teller County Department of Health Services and the infant's guardian ad litem have the discretion to set up visits with Frazee's family. The case was continued for a pre-trial conference on Feb. 7, according to a news release from Colorado Courts. "Parties still waiting to review discovery in criminal case before proceeding further," the release read. Berreth, who was last seen on surveillance video at the Safeway in Woodland Park on Nov. 22, is believed to be dead, according to Woodland Park Police Chief Miles De Young. Her body has not yet been recovered, but De Young said investigators believe she was killed inside of her Woodland Park home. Frazee told police the day Berreth disappeared, the two had exchanged their daughter. Berreth’s phone pinged in Gooding, Idaho on Nov. 25. That same day, investigators said her employer received a text from her number saying she wouldn’t be at work for the next week. Twin Falls, Idaho police have since announced they are assisting the FBI, Colorado Bureau of Investigation and Woodland Park Police Department to prepare and serve several search warrants. The town is around an hour from Gooding. Frazee, who does not have a prior criminal history in Colorado, was taken into custody last week. De Young said it is an “absolute possibility” there could be more arrests in the case.